Publix is a popular supermarket in the Southeastern United States because of its low prices and awesome deals. If you shop at Publix, you’ll love I Heart Publix, a site run by a fan of the store who wants to help other shoppers save money. Check out our top 9 reasons why you need to visit this site. Did you know that Publix has discounts and deals that it doesn’t advertise in its weekly circular? If you use I Heart Publix, you’ll get access to all of these money-saving deals. Michelle, the owner of the site, posts a weekly blog that is filled to the brim with exclusive deals and discounts. Not only will this save you money, but also time, as the blog is interactive. As you read, you can click on the items you’re interested in to add them to a printable shopping list within the site. This ensures that you won’t forget to look for non-advertised deals once you get inside Publix to do your weekly shopping! Part of the fun of using I Heart Publix is its ability to bring shoppers together. The platform features a forum where you can ask questions, post about deals you know about, and get to know other Publix shoppers. By participating in the forums, you can gain access to even more savings by pooling your knowledge! You can search for topics that interest you (including the deals in your area) and post as much as you’d like. Many people not only post deals in the forums, but also review products they’ve bought from Publix. This helps you decide what you want to buy before you set foot in the store so that you don’t waste time and money on products that aren’t useful to you. In addition to gaining knowledge about Publix deals through the forums, you can make friends. If you meet other Publix shoppers who live near you, you might be able to arrange a shopping trip that could be the start of a beautiful new friendship. In some states, Publix offers time-limited penny item savings. In most cases, these deals last for only 24 hours and require you to use a coupon that is printed in the Publix circular. This can be a pain if you don’t subscribe to the newspaper where the circular is printed or accidentally throw yours away before you look for the deal. Sometimes, people put a lot of time and effort into searching for the penny item coupon, only to find that the item of the week isn’t one that interests them at all. It’s annoying and frustrating to track down the circular only for this deal to not be worth your time! I Heart Publix makes this easier. While the site doesn’t offer the penny item coupon itself, it does send out a weekly reminder that lists the item(s). You can quickly skim your email to see if the item interests you before you put any effort into getting the coupon and heading out to Publix and skip the whole process if it doesn’t. Giveaways are a shopper’s dream! These are contests where entrants have an equal chance of getting an item for free, which saves them money as well as making them feel great. Unfortunately, many sites make giveaways so difficult to enter that it’s not worth the effort. That’s not the case on I Heart Publix. This platform offers super easy to enter giveaways on a regular basis. 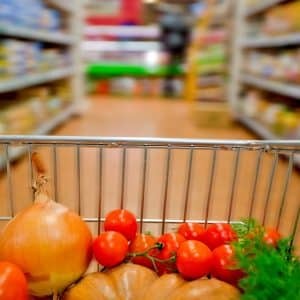 Michelle posts a blog reviewing a particular Publix item and explaining its pros and cons. At the end of the blog, she asks a question that doesn’t take a ton of effort to answer. All you have to do is answer the question and you’re in! At the end of the contest period, Michelle chooses a commenter at random who receives the giveaway. If you enter a lot of giveaways, the chances are that you’ll win sooner or later, and in the meantime you’ll be interacting with other shoppers, making friends, and helping people understand whether this product is something they want to buy. >> Whoa! Is Rachael Ray’s Net Worth Nearly $100 Million? I Heart Publix features a searchable coupon database. You can type the name of an item you are looking for into the search bar to see what coupons are available. Once you find a coupon, you just click it to access and print it. Many of these coupons are offered through coupon services rather than through Publix itself, so you may need to sign up for the service the first time you use it, but after that you’ll be able to collect all the coupons you need to save a ton of money at Publix. There are also Publix-specific coupons on the site. If you have a Publix card, you can load digital coupons that you find on I Heart Publix right onto your card so that when you swipe it at the register, your discounts will be automatically applied. Or, if you prefer paper coupons, you can access the entire booklet of Publix coupons right on your computer and print out the ones you plan to use, saving you time and effort. I Heart Publix doesn’t just give you information about current deals. It lets you travel into the future to see what deals are coming up! Every week, Michelle posts a preview of the Sunday circular on I Heart Publix so that you can see what deals are coming up ahead of time. This is great if you like to plan your grocery shopping in advance. You can decide what to buy before the circular even comes out! 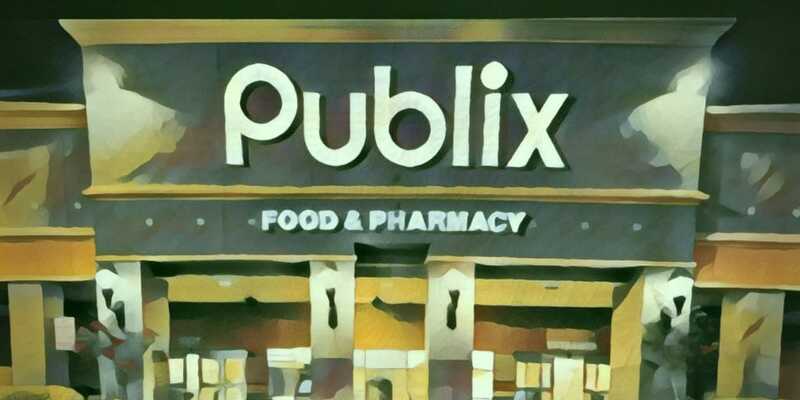 I Heart Publix not only saves you money at the grocery store but also offers you the opportunity to get cash back through shopping apps like Ibotta. These apps offer you cash back on grocery purchases that fall within specific guidelines. If apps aren’t your thing, you can also sign up for rewards programs via the I Heart Publix site. Brands such as Kelloggs offer loyal customers rewards through these programs. If you purchase a certain amount, you will get cash back or coupons for future purchases. I Heart Publix posts the circulars and coupons from every Publix store and a few related stores. If you look at the ad match-ups, you can find deals that might not have been advertised in your local circular. This can add up to a lot of additional savings! I Heart Publix doesn’t just list ads and coupons — it also features a printable shopping list. Every product listing on the site is linked to the shopping list so that you can add products you want to buy with just a click of the mouse. 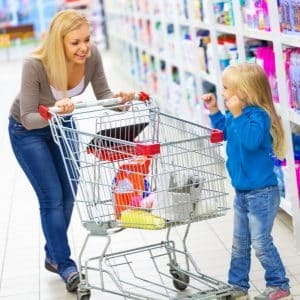 In addition, the shopping list shows you how much you’ll spend and how much you’ll save so that you can stay within your budget while planning your shopping trip. Once you’re ready, just print the list and go off to Publix to buy what you need!